Today, I want to challenge you to rethink praise and thanksgiving in prayer, especially if you are prayer journaling. I am afraid we often offer thanksgiving and praise on auto-pilot. 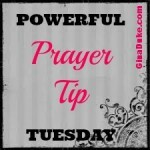 When prayer journaling, I make all my entries first and then I have a time for a formal prayer. This allows me to really organize my thoughts and prayer closet so nothing is taken before the Lord that has not been well pondered. This simple verse has given me so much insight into praise and thanksgiving. Thanksgiving and praise are two separate activities just like “gates” and “courts” are two separate places. You see, I had always viewed them as pretty much the same thing, but they are not. The gates may get me onto the premises, but it is when I am in the courts that I am in the presence of the king! This realization made me wonder if I should always start first with thanksgiving (entering through the gate) and then offer praise (then into the courts)? Even when the Angel of the Lord took Ezekiel back to the temple, He always took him through the gates first (Ezekiel 8). Even though the Angel could have went straight into the courts, He still entered through the gates first. Just a thought…not a theological lesson. Being thankful is a straightforward concept. We are thankful when we receive a blessing, a Yes to our prayer or something else that brings us joy. But what about praise? In Psalm 100:4, giving praise means blessing God’s name? Have you blessed the Lord’s name lately? We often think that because we say something like, “God, we praise You!” that that is giving God praise, however, I believe according to this scripture, that it is when we bless His name. When God makes provision for my family, I am thankful for His provision and I bless His name Jehovah-Jireh. Likewise, when God heals me, I am thankful and I bless His name – Jehovah-Rophi. I encourage you to learn the divine titles of the Trinity (or use reference material) for your prayer time, whether you record it or not. I will typically write down what I am thankful for and praise God for, but I don’t always record the divine title that I recognize in my actual prayer. 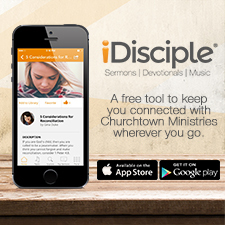 It is up to you on how you want to record thanksgiving and praise in your prayer journal. Depending on what is going on in my life, God meets my needs in different ways. Jesus, in Matthew 22:42 asks, “What do you think about the Christ?” When I was in a marriage where I did not feel loved, Jesus was the Lover of my soul during that season. You may think Him your “Strong Tower” or “Redeemer.” By identifying with one of our Lord’s divine titles we are blessing His name. 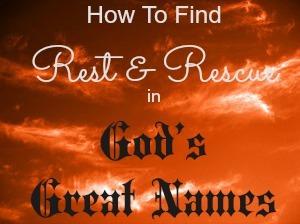 We are paying respect and recognizing that aspect of Who He is by finding rest and rescue in one of His great names! Just think, when I use a divine title for God that is not one of my defaults – “God”, “Lord”, “Heavenly Father”, I am really saying to God, I KNOW YOU in THIS way. For instance, when I felt unloved, by embracing Jesus as the “Lover of my soul” I was saying, “Jesus, Your love is the only love that matters to me and makes me whole in an area where I feel incomplete.” Can you even imagine how that blesses Him??? Bless the Lord, O my soul!!! When you are having difficulty starting your prayer, use the lessons from Psalm 100:4 as your springboard into thanksgiving and praise! Here is a beautiful video to watch while you ponder all the great names that fit your current season and situation. Enjoy! Tomorrow, we will enjoy some thoughts on freedom and forgiveness when we overcome sin and self! Hey Gina — finally having a look at your blog. Mine’s way behind on the challenge but that’s part of the fun. Love your idea. 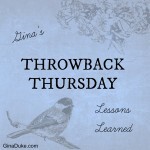 I have a friend who does a prayer blog and she’s part of 31 Days. I’ll tell her about yours! I am a new believer in the family of God. When you speak of divine titles where do you find them. How do I know how to use them. This is the first time I have done Bible study, I have read bits of the Bible-(like just get it done). 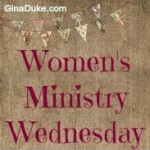 I join the Bible study over at Women Living Well. 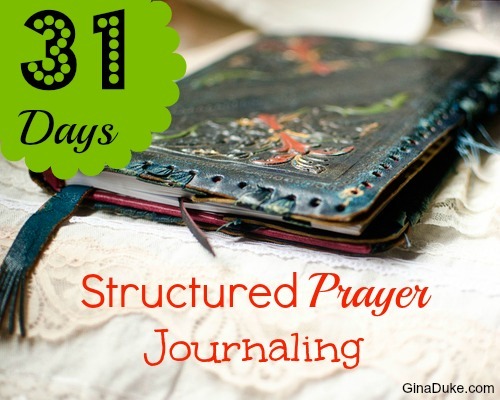 I just happened upon a link to your blog series on 31 days of learning how to Prayer Journal, and I have been enjoying it so much since prayer was an area I wanted to focus on this year as a goal. This section was so eye-opening and I just want to say thank you for all of your insights and helpful tips on your website. It has definitely blessed me and I am sure so many others!